Native & Search now provides support for native video captions in the Native & Search UI. You can use closed captioning to achieve maximum recall of your ad’s messaging. Captions appear as an overlay to the video asset in the muted state and will disappear in the un-muted state. 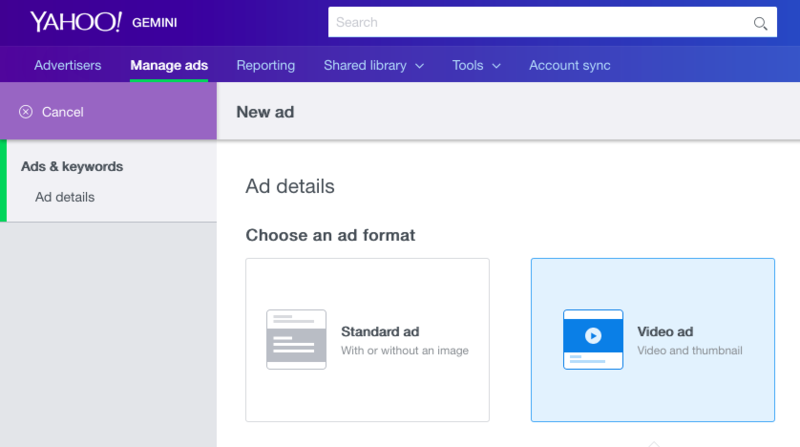 Advertisers can add a caption file to their videos via the Native & Search UI, API and Bulk. Message recall is 60% higher for users exposed to closed captioning. Captions provide valuable context for users who experience your ads without audio. Closed captioning enhances the user experience and typically results in a 10% higher rate of enjoyment of your ad. Native & Search simply sends the video + caption file in all ad responses. The supply endpoint will play the caption file if it can and, if not, it will play the video without captions (i.e., the status quo). 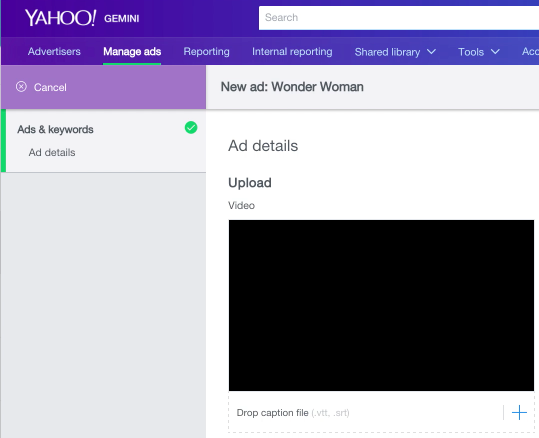 Create a new ad, entitled Wonder Woman, from the Ads & keywords menu and choose the ad format as Video. The panel for the Video ad appears. In the Ad details panel, under Upload Video, drag and drop the video that you’ve created into the Video pane from your desktop, in this case, Wonder Woman.mov. While the video is loading, you can upload the Large rectangle image (which is required) into the image pane. The Square image will populate automatically. Ensure that these images are 1200x627 pixels and 627x627 pixels, respectively, according to image specification requirements. 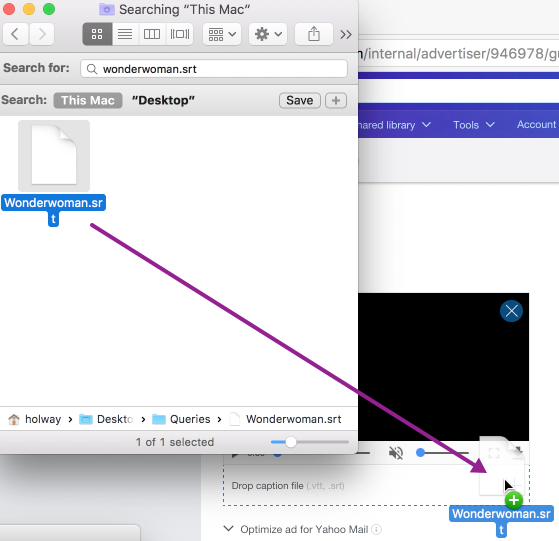 Select and open your Wonderwoman.srt caption file on your desktop, which includes your captions for the images and follows the defined specs for each image (shown below in the section on supported file types), drag and drop the Wonderwoman.srt caption file on the blank video screen. Click the view caption item at the bottom of the video. Enter the text for the Ad title and Ad description, along with your Company name and the Destination URL. In the Call-to-action button, enter in this case: Watch Now. Pause the video, save the ad and you’re good to go. For its initial release, the .ttml file format is not supported. A numeric counter identifying each sequential subtitle, in this format: (hours:minutes:seconds,milliseconds). The time specified that the subtitle should appear on the screen, followed by this indicator: –> and the time it should disappear. Subtitle text itself on one or more lines. A blank line that contains no text, indicating the end of this subtitle. Tumblr. For all things cool. Post your blog on Tumblr today!